If you are new to a dairy-free diet, the good news is that most stores carry many varieties of non-dairy milk alternatives, including soy milk, rice milk, coconut milk, and almond milk. The bad news is that, with so many choices, it's hard to know what the differences are and which ones are the best to use in different ways. This list will give you helpful tips on choosing the right dairy-free milk alternative for different dishes and uses. 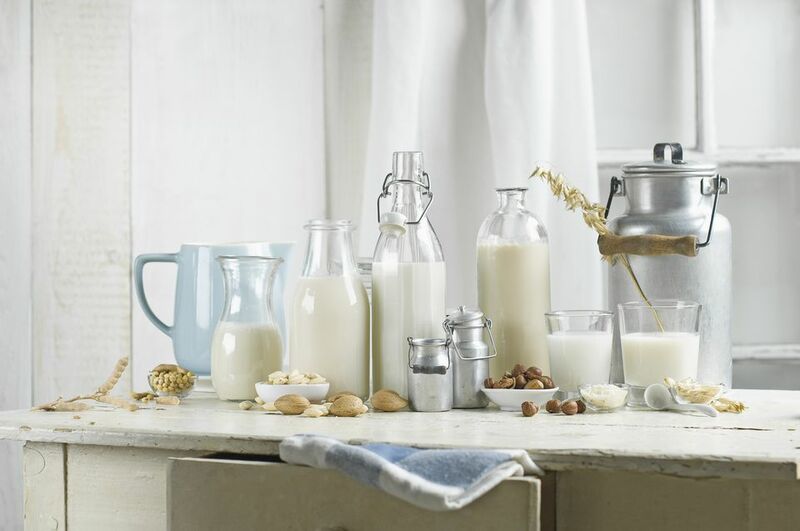 Almond milk is a great substitute for milk in every aspect of cooking and baking. It's also a satisfying choice over cereal or in your morning coffee. It is creamy, slightly sweet, and high in vitamin E and other essential nutrients. Almond milk is almost always found in with the other non-refrigerated boxed beverages. These dairy-free milk alternatives are usually not soy-free however, as they almost always contain soy lecithin. 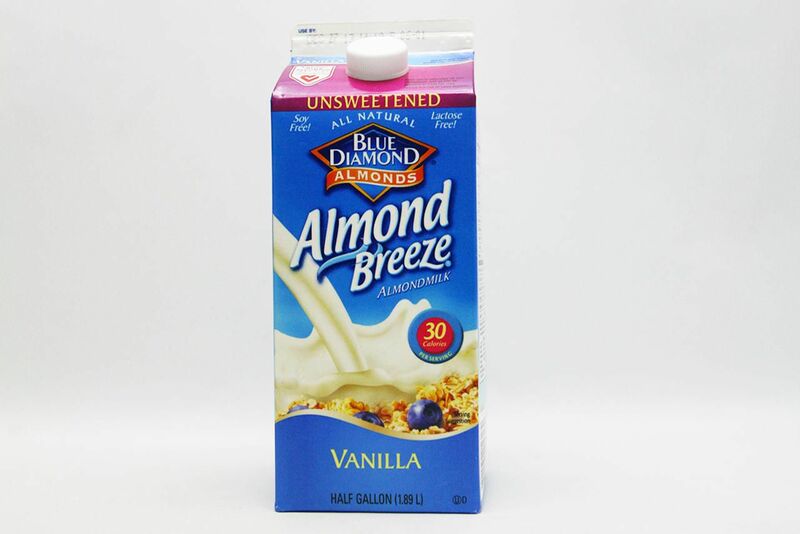 Blue Diamond's Almond Breeze is a good choice, especially the Original Unsweetened variety, though the others are tasty as well. Coconut-based products that are soy-free, gluten-free and dairy-free have been making their way onto grocery shelves more and more to satisfy people who have sensitivities. Turtle Mountain So Delicious Coconut Milk has an accurate name—it is delicious, rich, and creamy. It is great for cooking and baking, and a good choice when you want to drink it straight from the glass. Turtle Mountain also makes tasty dairy-free ice creams. Prepared from fresh coconut meat, coconut milk is a great option for richer dairy-free dishes. Although it is high in fat and saturated fat, coconut milk is a delicious way to add creaminess to any number of dairy-free and vegan dishes, including, curries, pasta sauces, puddings, and dairy-free whipped cream. The top pick that is easy to find in the market is Thai Kitchen's Coconut Milk, both the lite and original varieties. Use it in making a vegan pumpkin soup. Even if you love store-bought varieties of almond milk, it is easy to make homemade almond milk with raw dairy-free and soy-free ingredients. You can dress it up with carob powder, maple syrup, Medjool dates, or other flavors. Rice milk is generally thinner in consistency than nut milk or soy milk, and it has a lighter, sweeter flavor that is perfect for using with cereal or in coffee. While rice milk works well in baking recipes, for using in dairy-free sauce recipes it generally requires some sort of binding or stabilizing agent such as agar flakes, eggs, flour, or xanthan gum. Soy milk is one of the richest of non-dairy milk alternatives next to coconut milk. It has density due to fat, fiber, and protein while it is still free of cholesterol and saturated fats. You can use soy milk for baking, cooking, beverages, or over cereal. You can also use it in preparing dairy-free sauces, as it remains more stable at higher temperatures.